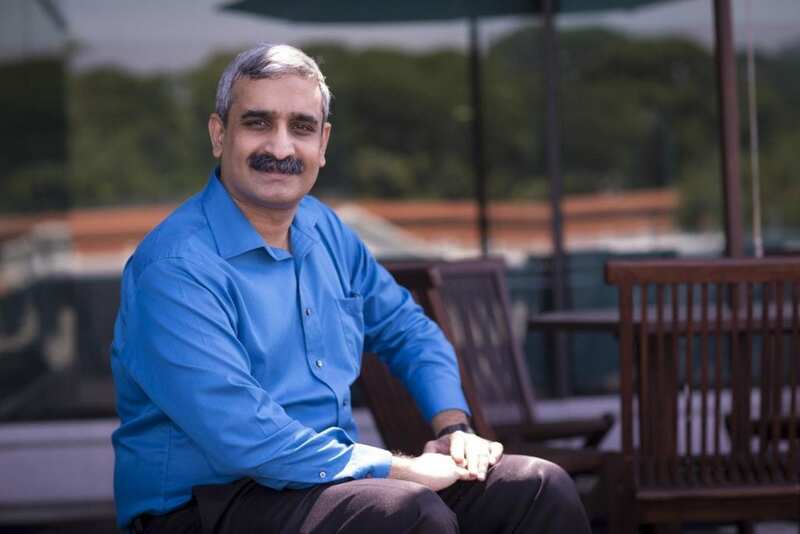 SINGAPORE, 8 November 2018 (Thursday) – Associate Professor Rajesh Balan from the School of Information Systems (SIS) at Singapore Management University (SMU) has been named as an ACM Distinguished Member for his outstanding scientific contributions to computing. He is one of 49 worldwide, and the only academic from a university in Southeast Asia, to achieve this recognition in 2018. He is also the first SMU faculty to be selected for this honour. ACM, the Association for Computing Machinery, is the world's largest educational and scientific computing society. The ACM Distinguished Member program, initiated in 2006, recognises those members with at least 15 years of professional experience who have made significant accomplishments or achieved a significant impact on the global computing field. ACM Distinguished Membership recognises up to 10% of ACM's top members from around the world. Prof Balan said, "I am honoured and extremely humbled by this recognition from the ACM. I am indebted to my colleagues, advisors, mentors, and peers who have helped me over the years. In particular, I would like to thank the faculty and staff at the School of Information Systems in SMU who have helped me grow as a researcher and an individual, and also helped me build the Software & Cyber-Physical Systems research area to where it is today. I would also like to thank the various students and staff who have worked with me over the years to achieve amazing outcomes. This recognition would not have been possible without their incredible efforts!" Prof Balan's has conducted research across many different areas of mobile computing with his current focus lying in developing new and novel mobile computing applications for interesting real-world problems. His research has provided solutions for problems in diverse areas such as personal analytics, traffic management, social networking, and digital wallets. He has also worked on mobile multiplayer game infrastructures, resource management issues on constrained devices, and software engineering issues related to distributed software development and system migration. He is a Director of the Livelabs Urban Lifestyle Innovation Platform (LiveLabs), a large government supported city-scale research test-bed focused on mobile computing technologies. LiveLabs provides test-beds for large-scale consumer behavioral trials and social experiments on real people in real environments, with a special focus on urban lifestyle services for indoor public spaces. 1)	A usable indoor location system that can work with commercial Wi-Fi systems. This engine implements special code to continually retrieve wireless signal measurements captured by the Wi-Fi infrastructure, and then applies advanced and proprietary statistical techniques to simultaneously infer the location of hundreds-to-thousands of devices. The platform also provides tools for visualization. The system has been in use at the SMU campus, a commercial convention centre, and a public museum in Singapore, as well as the University of Massachusetts Amherst campus in USA. 2)	A dynamic group detector that can detect if people are moving together with intent. The lab's technology is used to pinpoint consumers' location and provide location-specific advertisement on their mobile devices. Its solution not only supports easy provisioning and delivery of such location-based engagements, but also allows such engagement to be customised based on additional attributes, such as number of members in a particular visitor group. A common use case for such engagements is the delivery of targeted promotions/advertisements. This solution, together with the aforementioned indoor location analytics solution, is in the process of being commercialised via a startup headed by Prof Balan. 3)	A testbed platform where various types of sensors, applications, and analytics research can be developed and tested in real-world operational conditions. For example, LiveLabs has conducted research in eating detection using smart watches, dynamic queue detection in food courts etc. using smart phones, occupancy sensing using capacitance touch sensing, peer-to-peer gaming using Wi-Fi Direct and BlueTooth, and the investigation of the differences between the shopping and movement behaviour of groups and individuals. 4)	An engagement-focused mobile conference app that was used by top ACM conferences such as HotMobile, MobiCom, & MobiSys and also by large commercial events. The app allows users to view the event's programme, venues, speakers, attendees and their profiles, as well as download ePapers in PDF and ePub formats. It has in-built social features and high gamification content which serve to induce participation and interaction among attendees. The social features includes a messaging function to one or user-defined group of attendees, automatic pre-defined Interest Group, a recommendation function which links up attendees with similar interests, as well as several discussion boards and messaging mechanisms for attendees to raise a question, provide a reply or post a comment. The app also has several ice breaker games to increase interaction among the attendees. This app is being commercialised by a startup headed by Prof Balan. Over his nearly two decade long career in computing, Prof Balan has published more than 40 papers in refereed conferences and journals. His work has received numerous awards including the ACM SIGSOFT Distinguished Paper awards in 2007 and 2011 for his work in empirical software engineering. He has also received SMU's Lee Kong Chian Fellowship as well as innovation awards from SMU's Institute of Innovation & Entrepreneuship. Besides his academic contributions, Prof Balan is active in the ACM SIGMOBILE community. He has served on multiple programme committees and has also served as the programme chair and the steering committee of HotMobile (ACM SIGMOBILE's top workshop), and as the programme chair of MobiSys (ACM SIGMOBILE's top conference). In addition, he has also served as a general chair of both MobiSys and UbiComp (top ACM SIGMOBILE conferences). On his future research, Prof Balan is leading a large multi-disciplinary team comprising computer scientists, social scientists, educators, and medical professionals who are using passive sensing and analytics mechanisms, developed by Prof Balan and his team, to automatically detect and correct stress, depression, and social inclusion issues at scale across an entire campus population. For example, the system will unobtrusively discover, in a privacy preserving way, groups of students who are feeling particularly stressed compared to their peers, or discover students who are being left out of social events due to various reasons. These discoveries, made after just a few days of observations, will then be used to provide safe and effective help to affected students. A premier university in Asia, the Singapore Management University (SMU) is internationally recognised for its world-class research and distinguished teaching. Established in 2000, SMU's mission is to generate leading-edge research with global impact and to produce broad-based, creative and entrepreneurial leaders for the knowledge-based economy. SMU's education is known for its highly interactive, collaborative and project-based approach to learning. Home to over 10,000 students across undergraduate, postgraduate professional and postgraduate research programmes, SMU is comprised of six schools: School of Accountancy, Lee Kong Chian School of Business, School of Economics, School of Information Systems, School of Law, and School of Social Sciences. SMU offers a wide range of bachelors', masters' and PhD degree programmes in the disciplinary areas associated with the six schools, as well as in multidisciplinary combinations of these areas.